On this day, I was praying the Stations of the Cross and begging God for those that were lost. I was alone in the Church. I had gotten to the 4th Station - where Jesus meets his Mother. At that moment, from the back of the Church, every pew in the church sounded like there was someone pounding on it with a large sledgehammer. It started in the back of the Church and every pew in the Church made the big "BANG!!" noise, and it moved from the back of the Church to the front of the Church in a wave, very fast - took maybe three seconds. I wasn't afraid, like John Vianney said, you get used to it after awhile. I know that the demon cannot hurt me unless God allows it. I wasn't afraid, but then suddenly I felt "reinforcements". 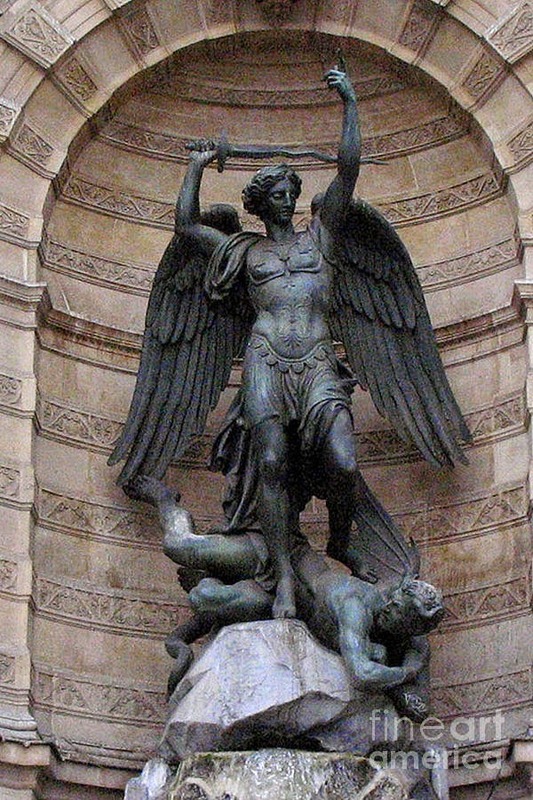 I couldn't see them, but I knew that St. Michael was on my left, and my Guardian Angel was on my right - just behind me. Whether I wished to continue was up to me. I wasn't afraid, I knew nothing could touch me, no matter how mad my begging God that souls not fall into hell made the demon. Be Fearless in face of any evil, for God IS WITH US!! We are Catholic! We are the front line in the battle for souls...join the fight! *Oh, and by the way, I checked the pews - there was no damage to them, which considering the noise that was made was astounding.